Charge Shot!!! 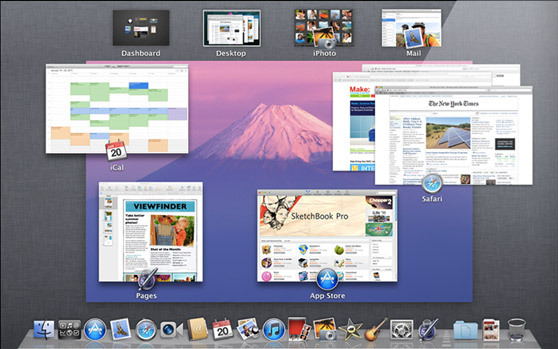 : Mac OS X 10.7: What's Next for OS X? Mac OS X 10.7: What's Next for OS X? Much like Apple itself, I write a bunch about iOS for this site, but not a ton about Mac OS X. That's for a reason, really; iOS is still a relatively new product, and Apple is still harvesting some low-hanging fruit and bringing major new features to it on a regular basis. Mac OS X, on the other hand, has been a reliable workhorse for most of the last decade, and major new features have been few and far between since the 10.4 release really finalized the then-fledgling OS in 2005. 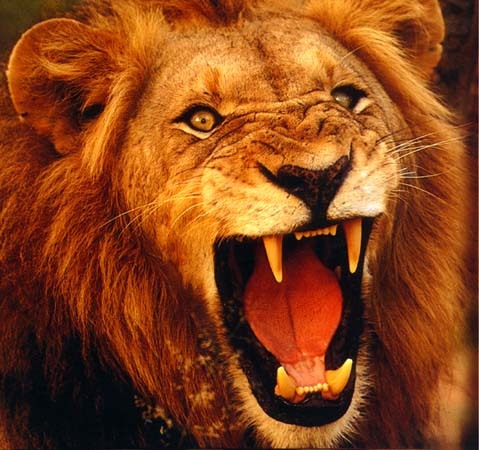 For version 10.7 (codenamed Lion and due out at some point this summer), though, Apple has made a conscious effort to improve Mac OS X in meaningful ways, chiefly by tightening the integration between the solid Mac platform and the new-and-exciting-but-still-limited-in-some-frustrating-ways iOS platform. I'm here, as always, to tell you the features you need to get excited about, and why you should be excited about them. First and foremost, OS X 10.7 is bringing a lot of user interface ideas over from iOS: something it's touting as revolutionary (even though it really isn't) is "full screen apps" that take up the entire screen from edge to edge without any need for the normal toolbars and such that normally separate OS X windows from one another. This could be nice for single-taskers or programs that need every pixel you can give them, though to me it seems strange to bring one of iOS's more irksome limitations (inability to effectively multitask or stack windows) to regular computers. Also big is the inclusion of "Mission Control," which when invoked pulls all of your programs, Dashboard widgets, and desktops together onto the screen so that you can more easily switch between all of your apps. This combines with "Launchpad," which is basically just the Home Screen from any ol' iOS device, to give you more ways to get at your programs: it's basically just the iOS Home Screen, a simple grid layout of your programs that you can use to find and launch stuff. The last big, user-facing innovation is something with which current Mac users may already be familiar, the good ol' Mac App Store. Like the iOS App Store, the Mac App Store presents a catalog of first- and third-party programs approved and curated by Apple. Payment is done through one's iTunes account, and every app bought through the Mac App Store can be installed on any Mac authenticated with said iTunes account. Again as with iOS, Apple takes a hefty 30 percent cut from all Mac App Store purchases. 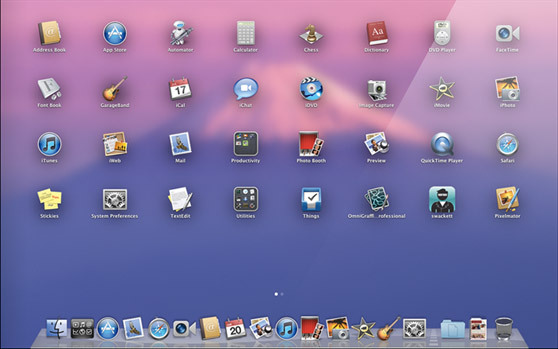 Users can also download and install programs the old-fashioned way (and as of this writing, popular software like Microsoft Office and Adobe Photoshop can only be installed this way), though some worry (and not without cause) that Apple will eventually begin to restrict the software that users can install on their Macs. One sign that Apple may be going this route is the fact that the Apple Design Awards given out at their yearly Worldwide Developers Conference is only being given to developers with apps in the Mac App Store this year. Let's hope that we're given a choice of how to put programs on our Mac, instead of having Apple's way shoved down our throats. And there's a laundry list of other things: scrollbars that used to take up valuable screen space along the sides and bottoms of open windows no longer show up unless they're actively being used. Apple's multi-touch trackpads (including the weird trackpad it sells for use with desktops) is gaining the ability to pinch to zoom, navigate between full-screen apps, and invoke Mission Control and Launchpad, among others. Added all together, OS X 10.7 is bringing changes that will influence the way you actually use your Mac more than any since the 10.5 and 10.4 releases, for better or for worse. The last thing I want to talk about is maybe the thing that I'm the most excited about, since I find myself in the position where I actually have to use and maintain Mac servers: Mac OS X Server is no longer going to be a separate product. The server functionality of Mac OS X is instead going to be part of the regular operating system, something that you can choose to install when you first setup the operating system. Let me explain the history of OS X Server: since the 10.0 release in the early 2000s, OS X Server has been an entirely separate product from Mac OS X, with an entirely separate price tag to match. You could buy Mac OS X Server for use on any old Mac, but it would run you $1,000 to do so. For years, the only computer on which you could get OS X Server pre-installed was the XServe, an expensive server unit that was often overkill for small workloads. Then, last year, Apple killed the XServe and did something surprising: a specialized Mac Mini was now being sold as an OS X server for $1,000, the same price that the OS X Server used to cost all by itself. 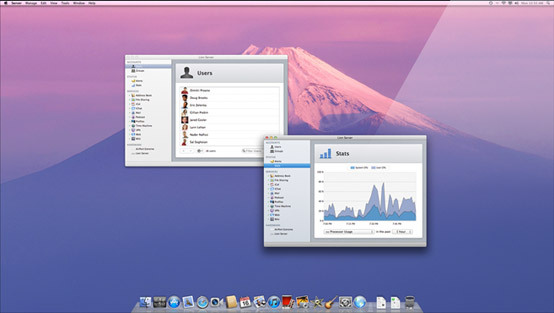 It made OS X Server much more attainable, and now OS X 10.7 is making it even more attainable. It remains to be seen whether all of the services that have traditionally been included in OS X Server make it over to the new version, but for system administrators it makes managing large groups of Macs more affordable than it's ever been (and, to boot, it introduces some tools for managing large numbers of iOS devices), and for home users it should enable the ability to simplify home networks and share files to iOS devices that previously couldn't be (read: anything that wasn't music or video). For nerds like me, all of the new stuff packed into Mac OS X 10.7 makes it worth getting a bit excited about. Look for a more in-depth review when the software comes out this summer.